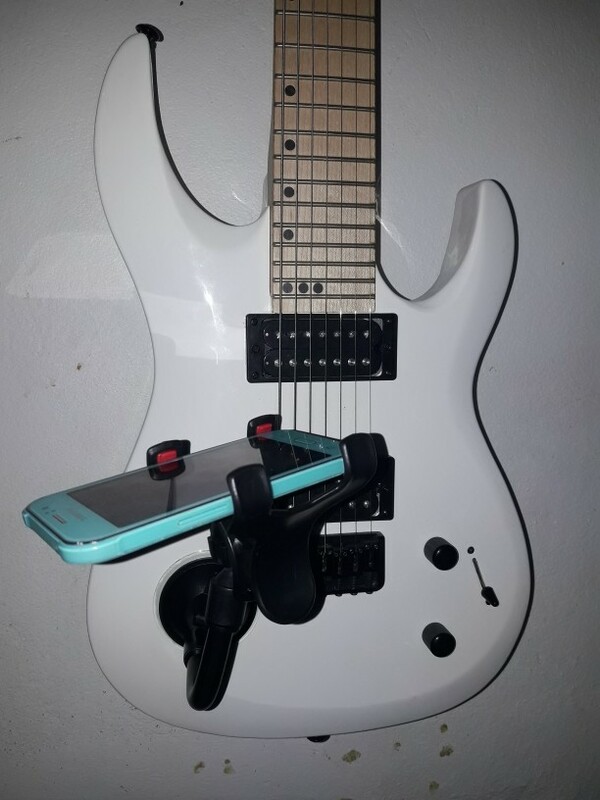 A smart guitar phone stand that uses smart devices as music. Nothing sticky remains on a guitar when detaching the stand. With your smart devices and the stand, you can play your tunes anytime, anywhere. Please use it on Smooth surface. Suitable for the size of not more than 3.3 inches of equipment. -A smart music stand that uses smart devices as music. -Strong and easy attachment to the place you want, regardless of the guitar’s finish (glossy/ matte). -Suitable for electric, acoustic, classical guitars. -Could be easily and quickly released and repositioned. -From smartphone to tablets,all size possible. -Nothing sticky remains on a guitar when detaching the stand. 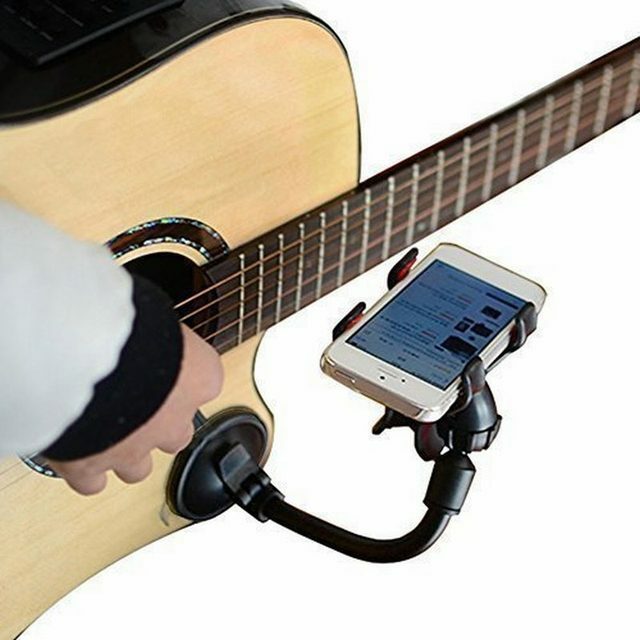 -With your smart devices and the stand, you can play your tunes anytime, anywhere.